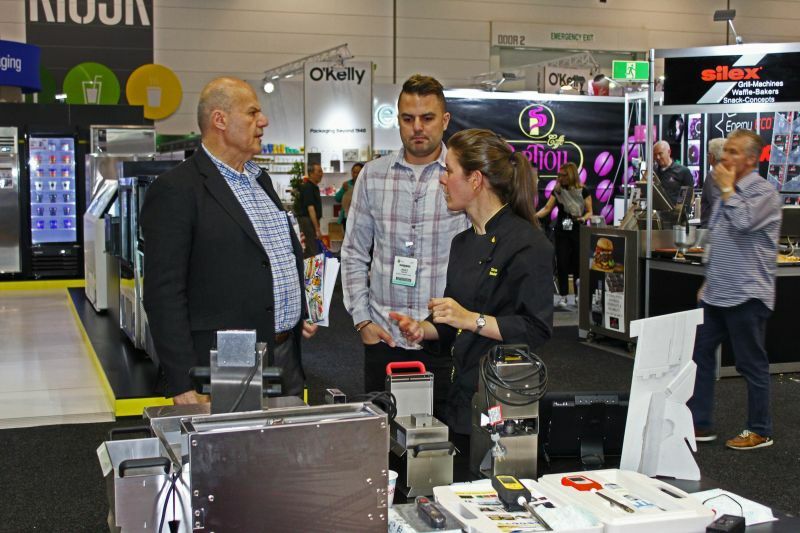 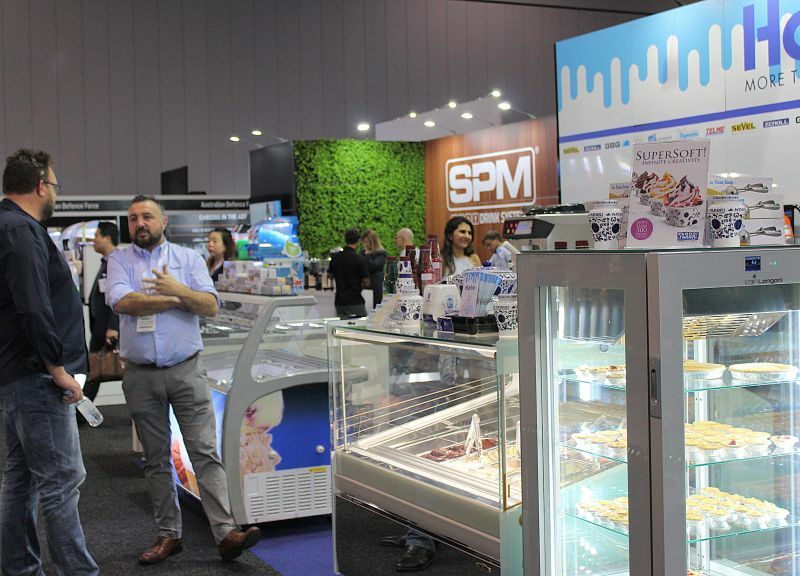 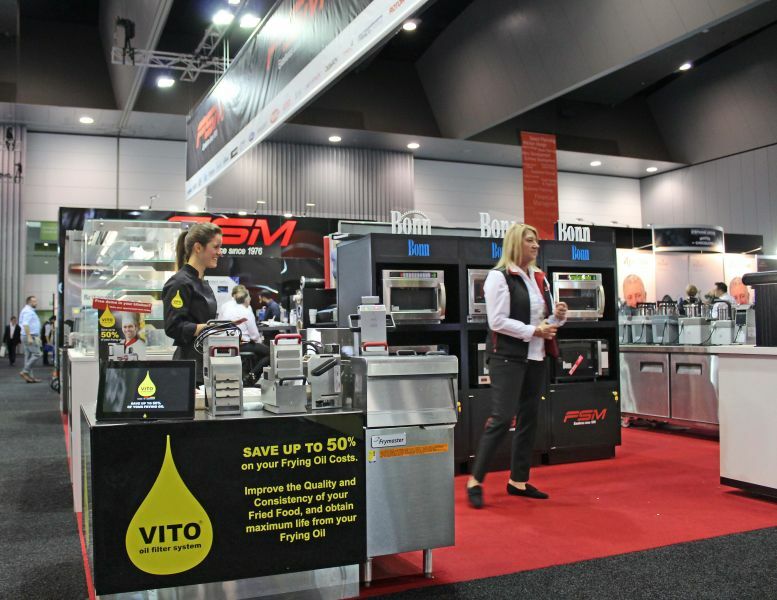 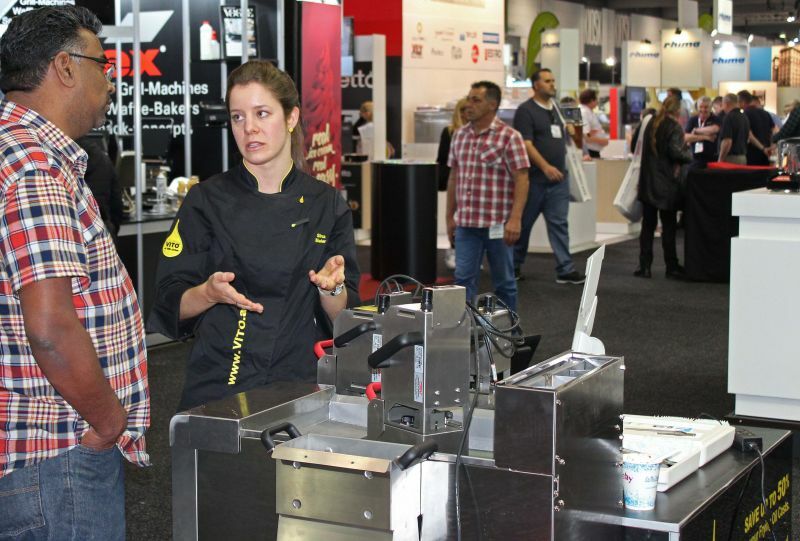 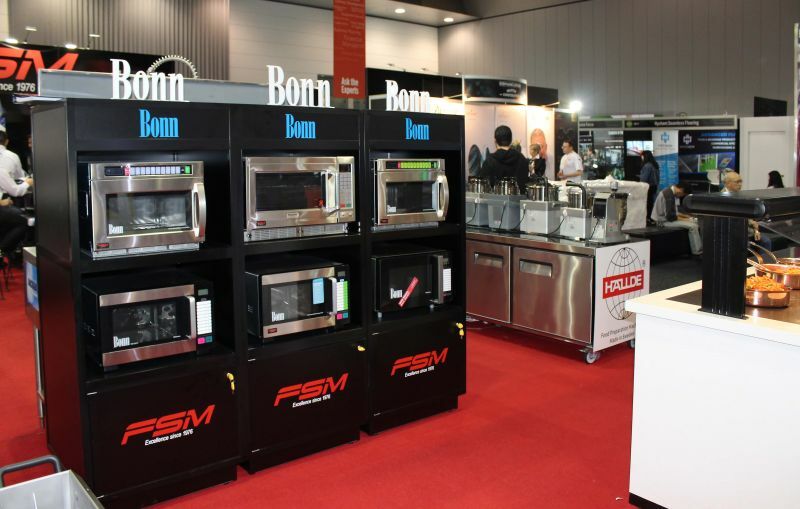 Fine Food Melbourne 2018 – once again the premier venue for the latest in the food industry was a jam-packed event at the Exhibition Centre. 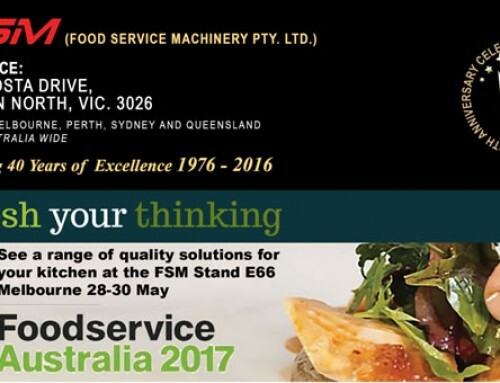 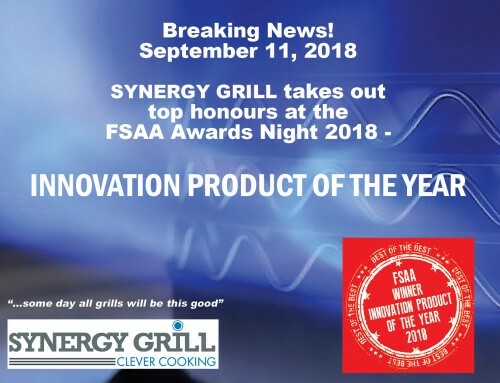 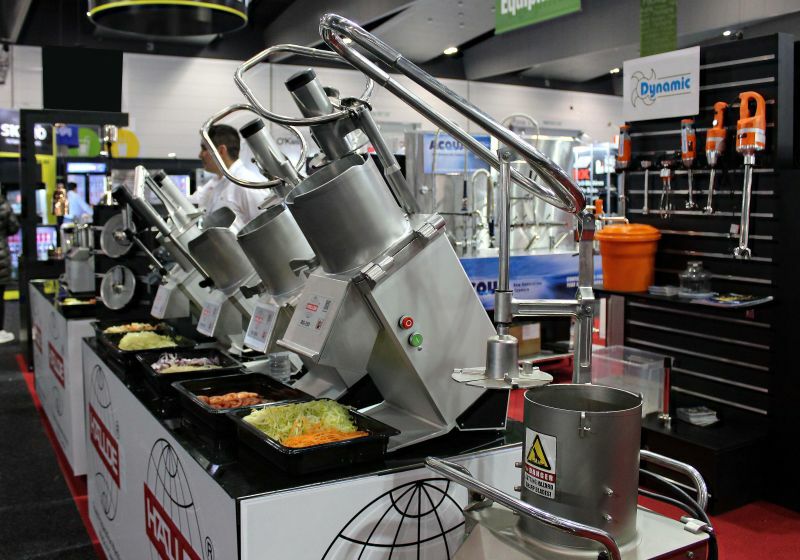 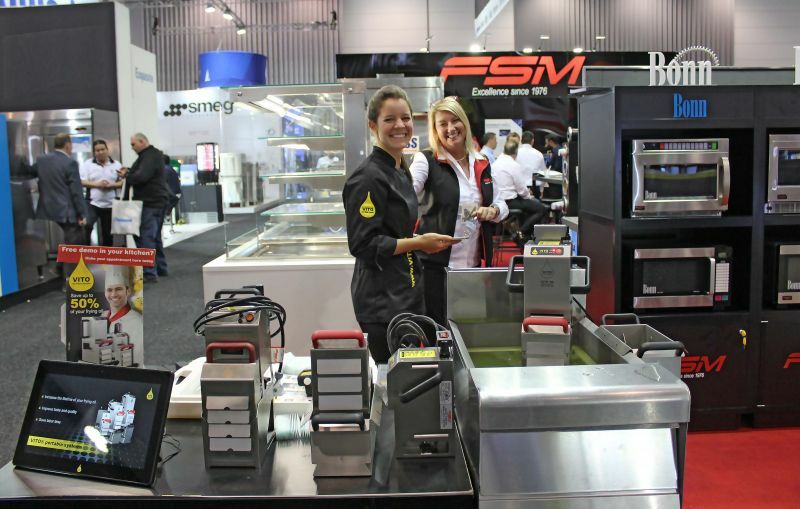 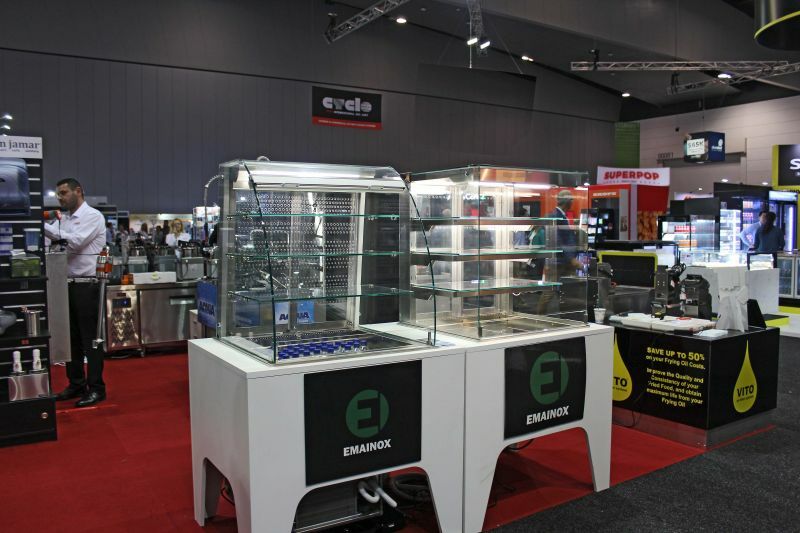 On show this year was the remarkable SYNERGY GRILL, fresh from a win as the FSAA Innovation of the Year Award 2018. 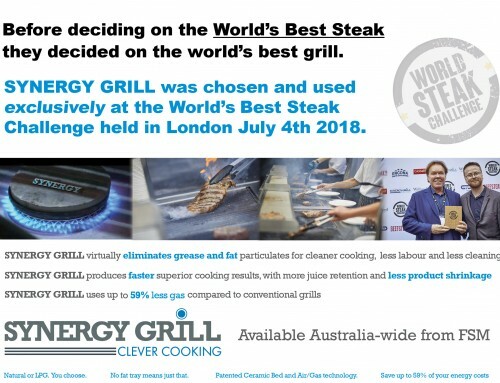 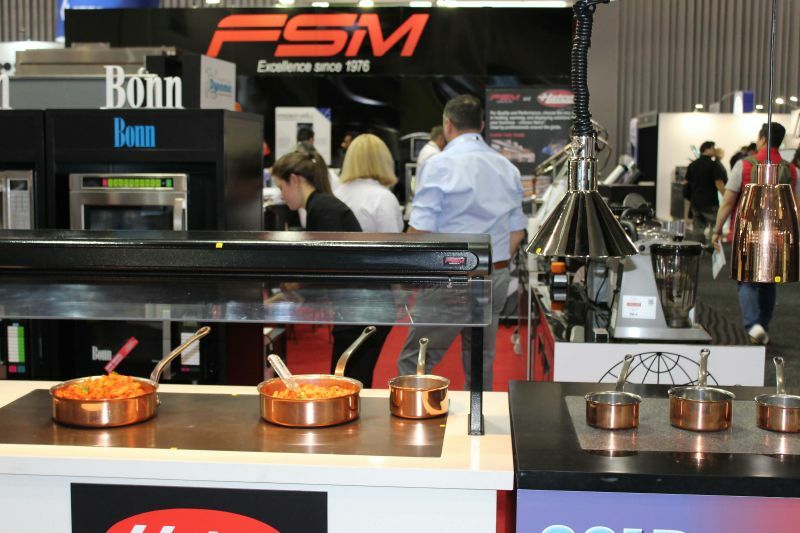 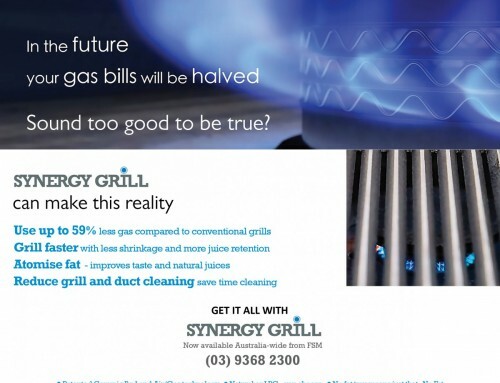 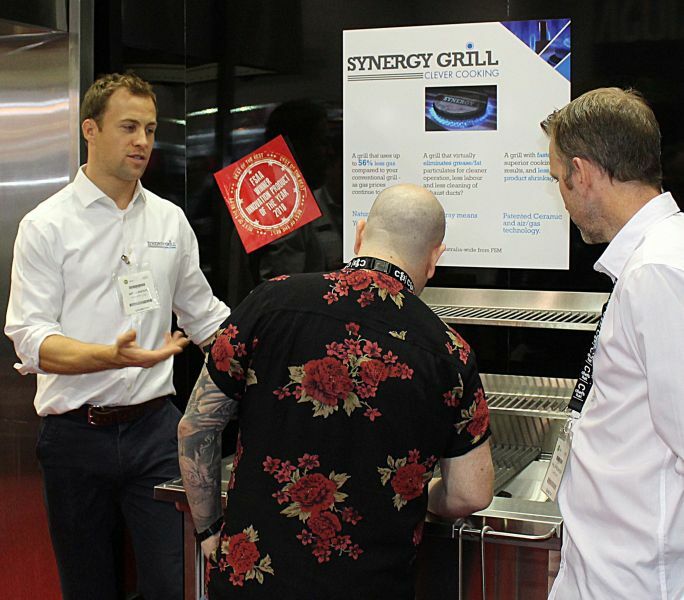 With Leander Cadbury from SYNERGY UK in attendance, interest was high and this grill has revolutionised what can be expected from an exceptionally fast, very energy efficient grill technology that is rapidly becoming a must have here in Australia. 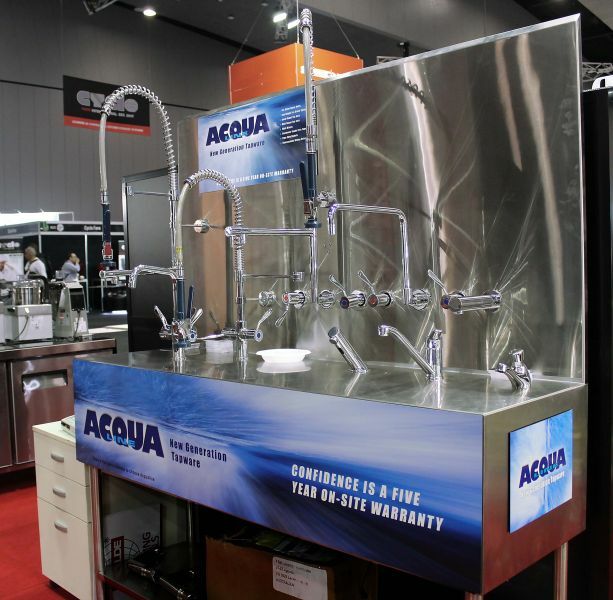 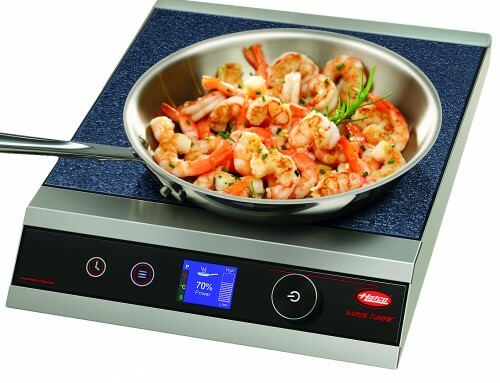 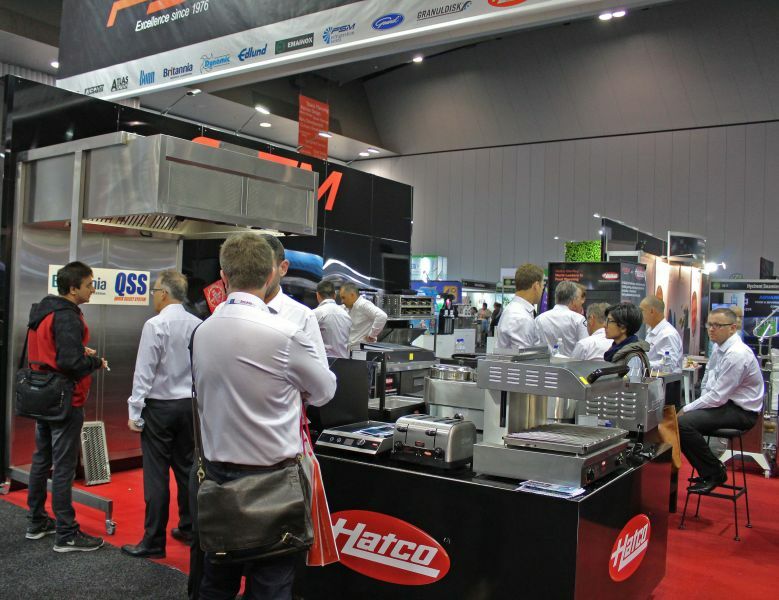 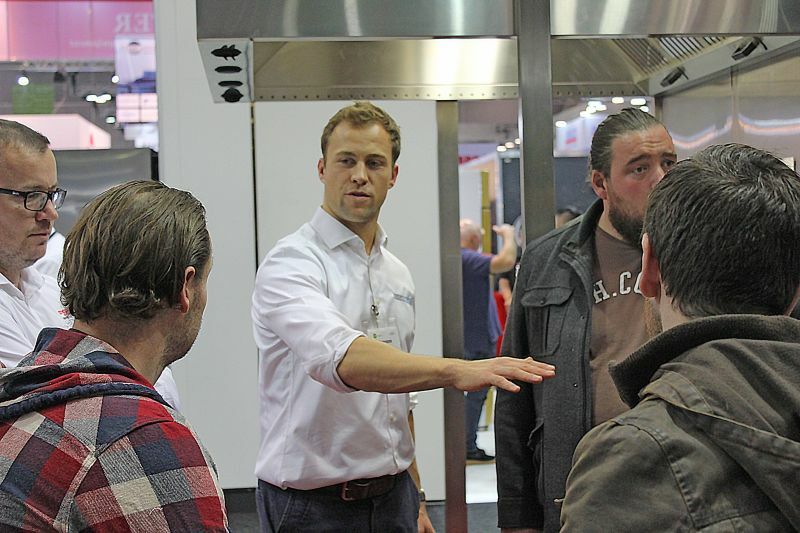 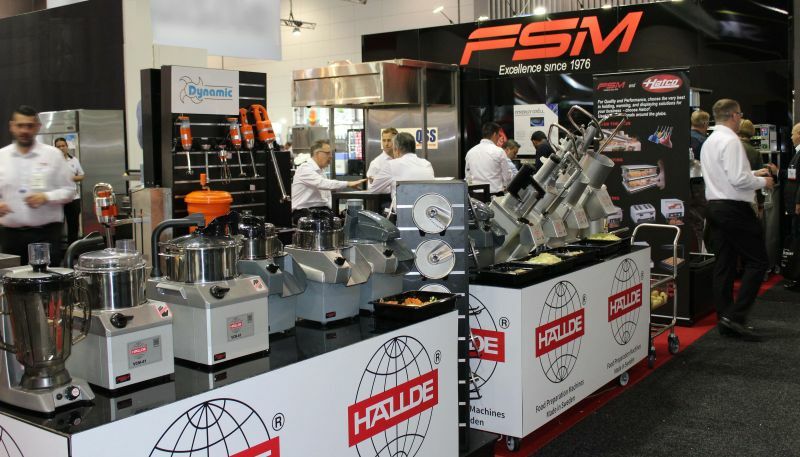 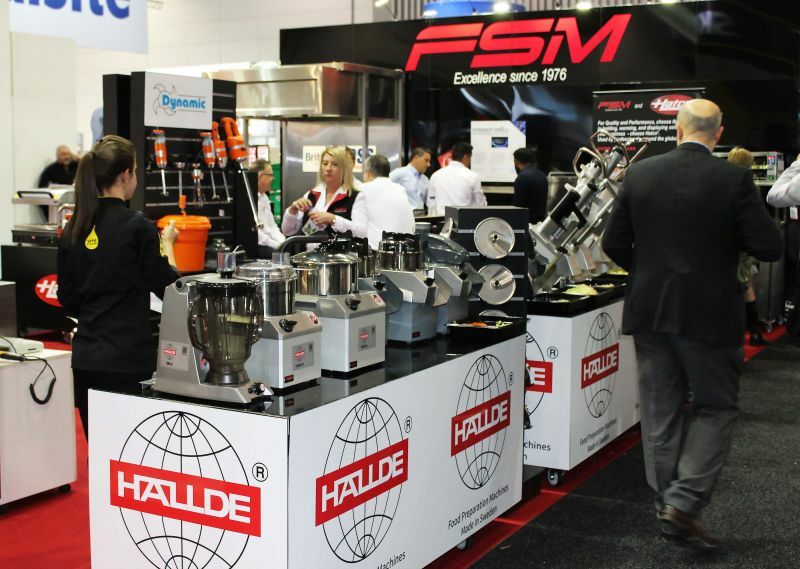 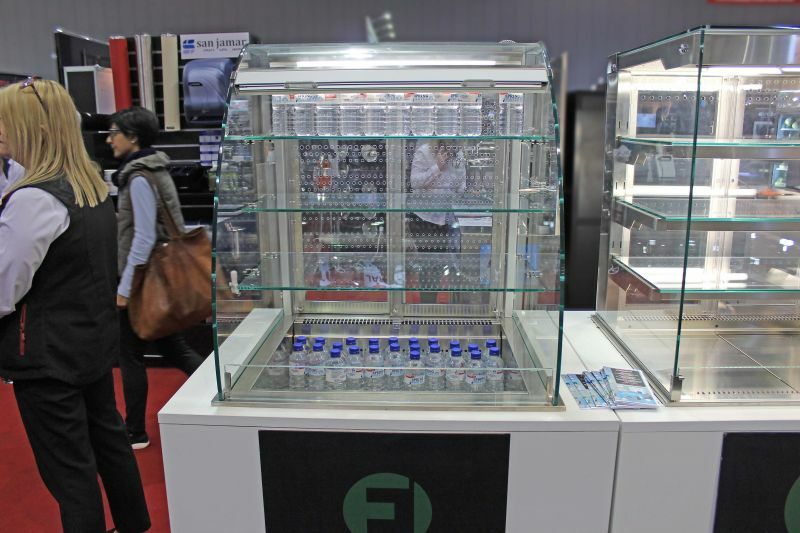 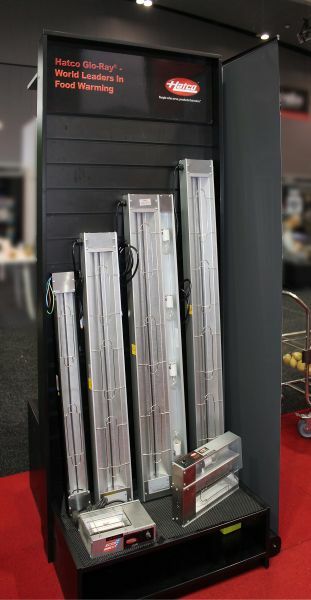 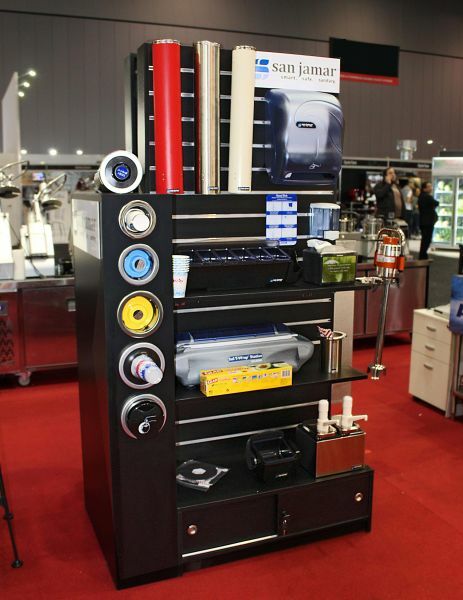 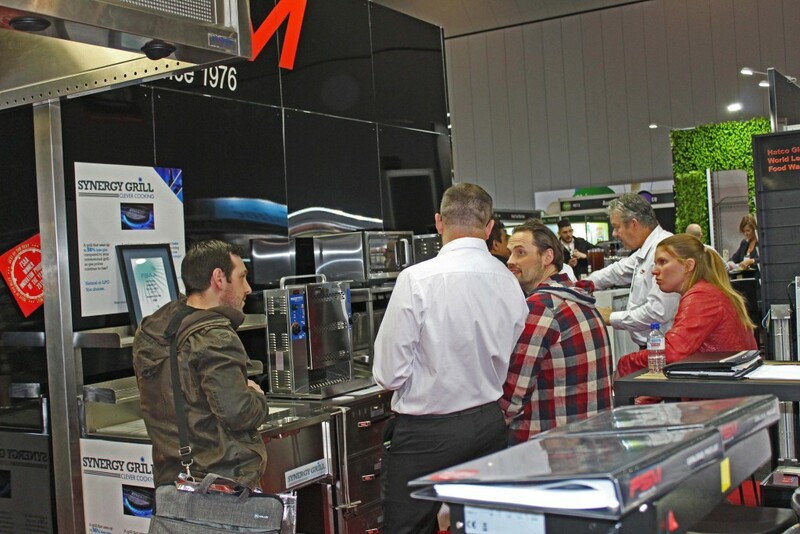 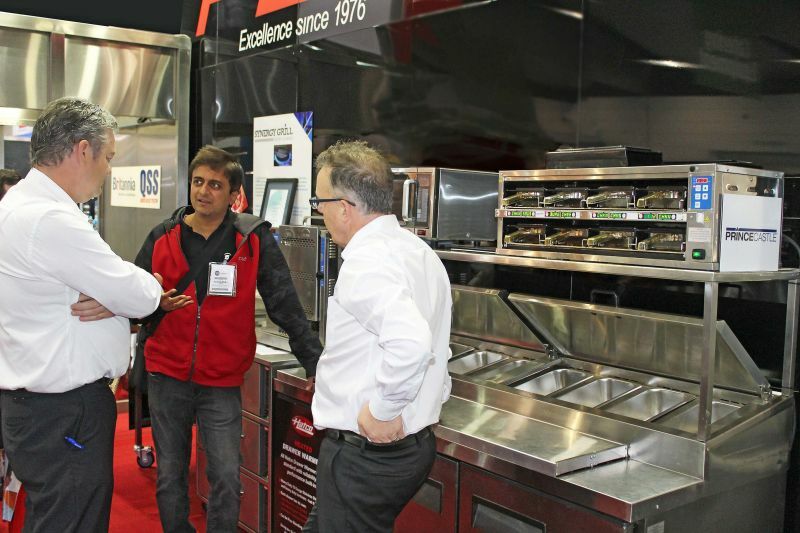 Also on show were new products from the world leaders in food holding and warming technology – Hatco. 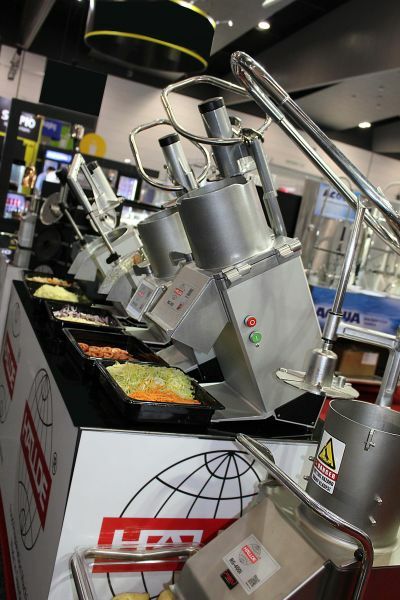 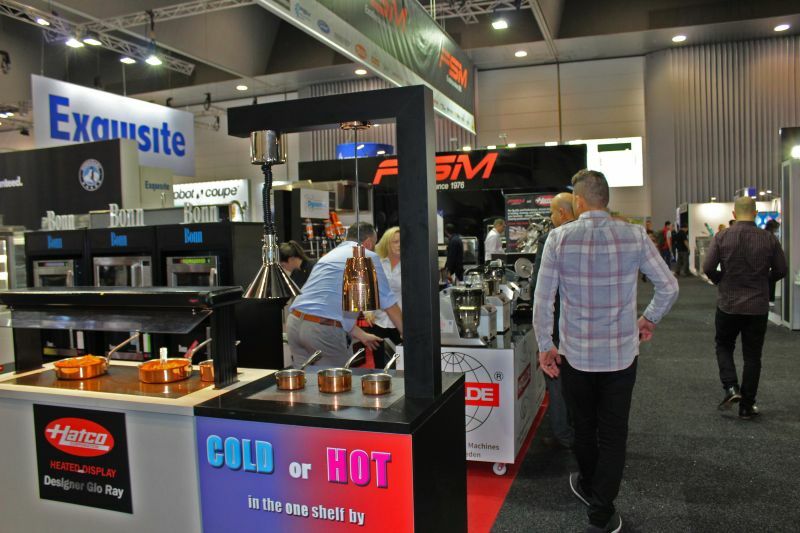 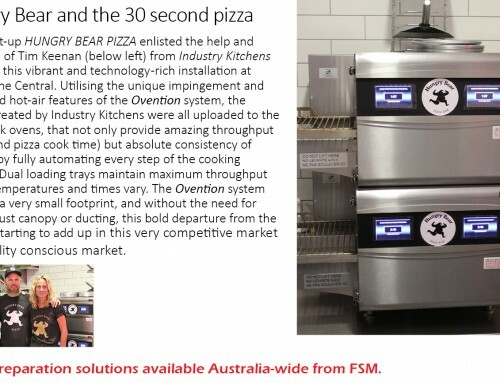 Seen for the first time in Australia was the RHW Series Portable Heated wells, the new TQ-3-500H fully programmable conveyor toaster boasting features and convenience in an economical package for high volume venues as well as Hot or Cold shelves and other Hatco award winning Glo Ray heat units. 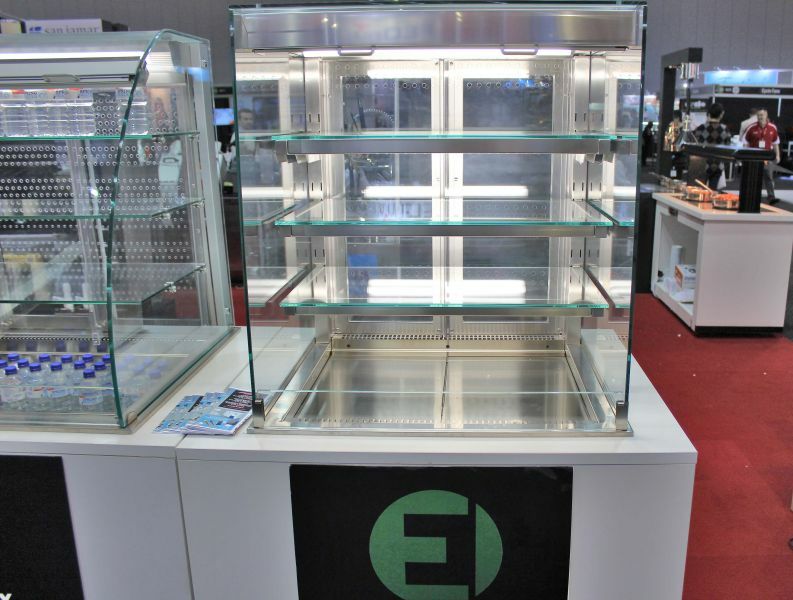 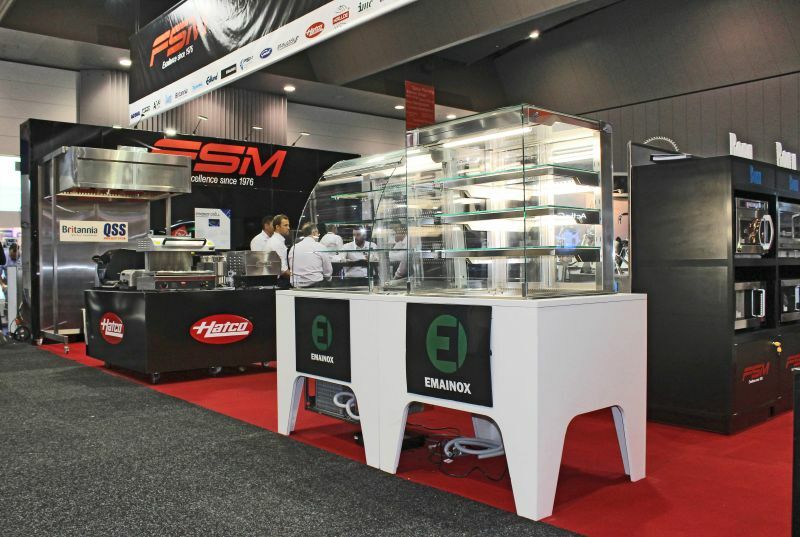 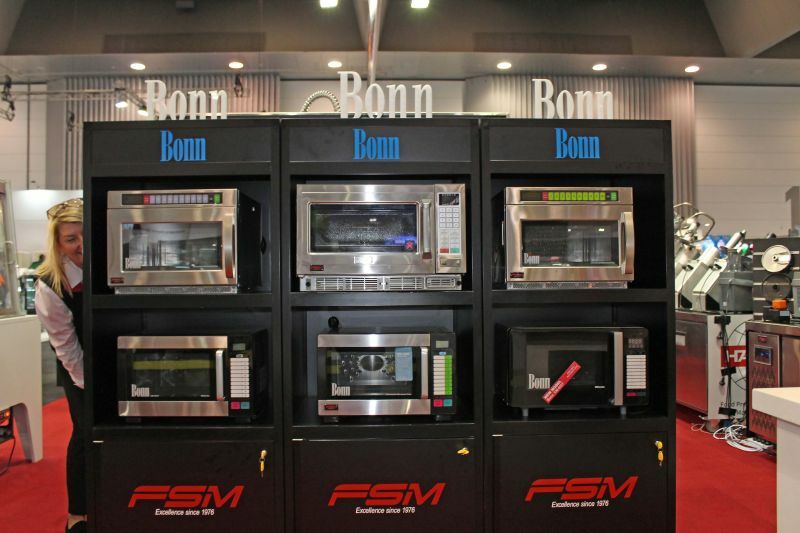 Also on display were a range of Emainox quality Italian designed and made display and holding options for both hot and cold requirements. 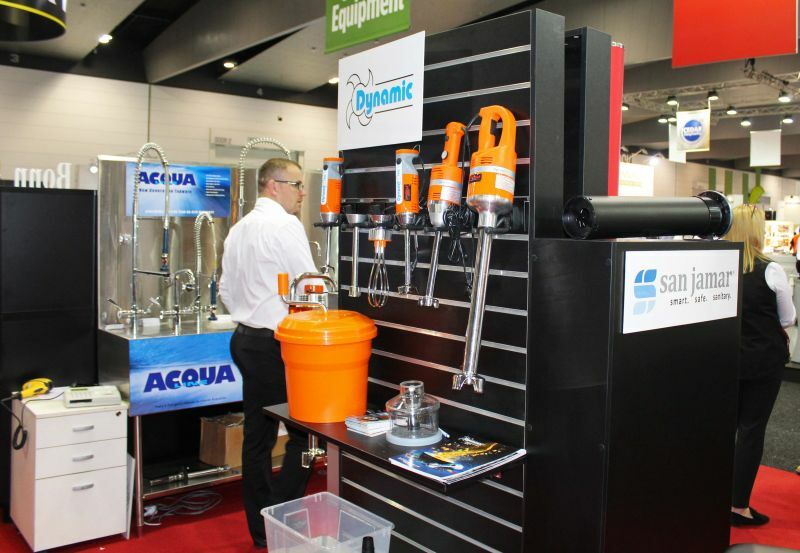 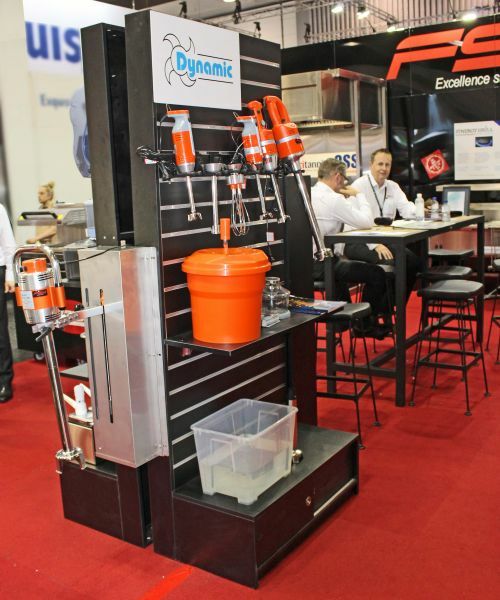 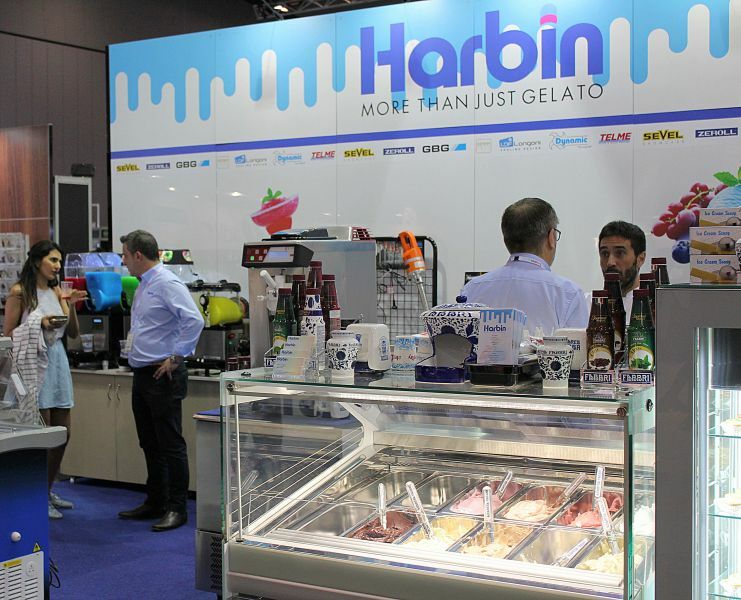 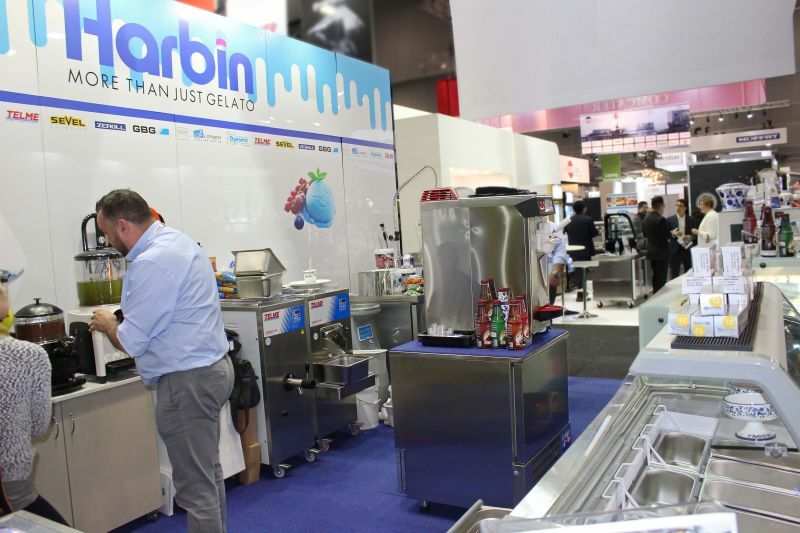 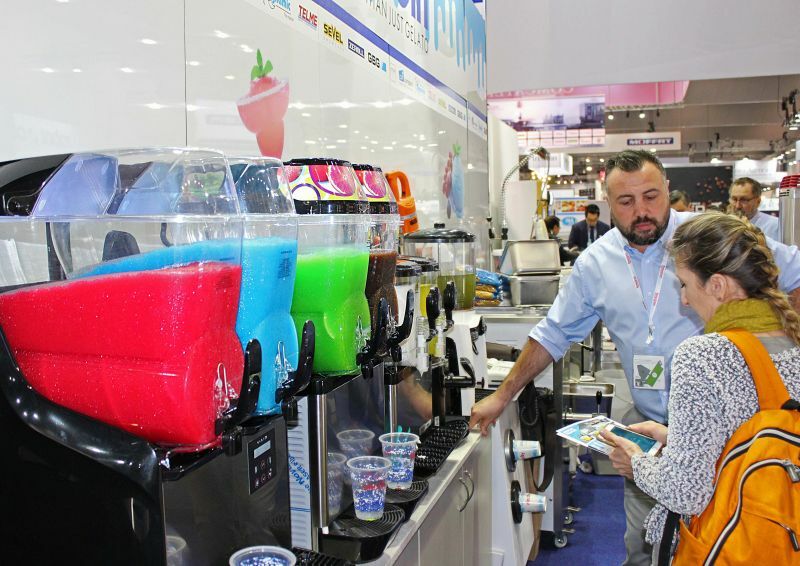 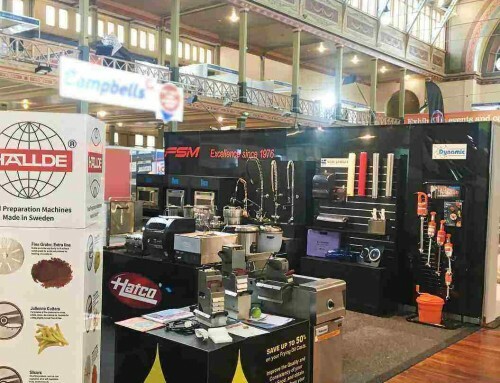 Harbin Australia displayed a range of new equipment and suppliers on the adjoining stand.